Learn from the best. 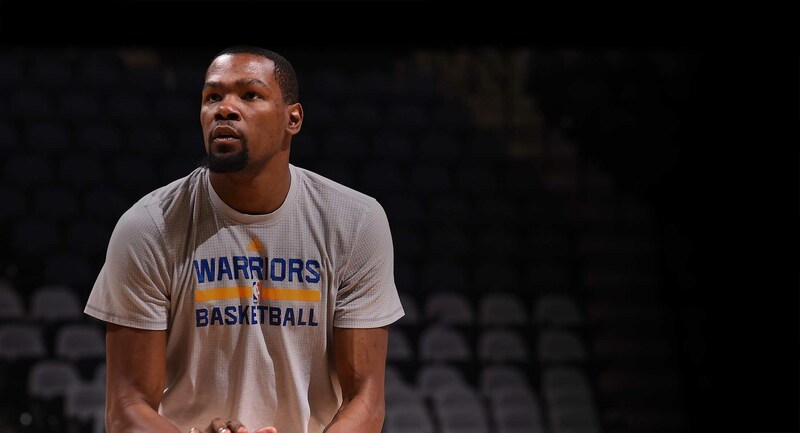 KD did! Former Stu Vetter player Kevin Durant. Campers watch ex Vetter & NBA player Justin Anderson. Campers learn more than just basketball. Most importanly they have FUN! 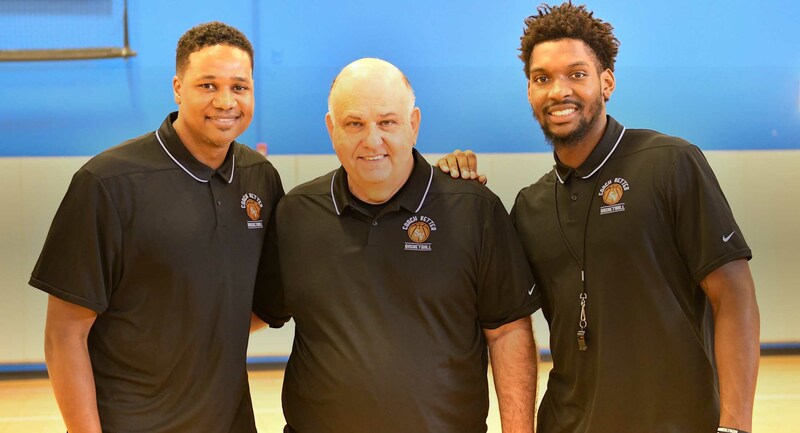 Stu Vetter poses w/ former players at the 2016 Western Conference finals: NBA stars Kevin Durant (Golden State) & Justin Anderson (Atlanta Hawks). Camp staff and guests include premier college and professional players and high school coaches. Kids are divided into separate groups for competitive balance and come together for lectures and drills. 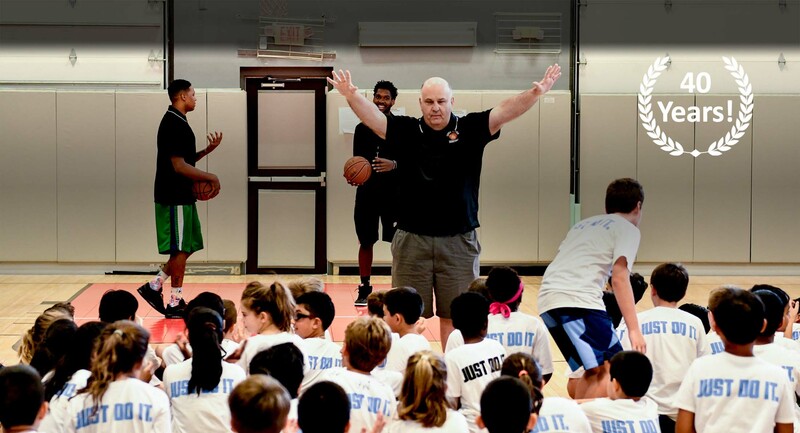 Stu Vetter Summer Basketball Camp are perfect way to keep your kids active, fit and disciplined while also having fun. We teach the fundamentals of basketball and life. WHAT ARE YOU WAITING FOR. CAMPS DO FILL UP? REGISTER NOW. 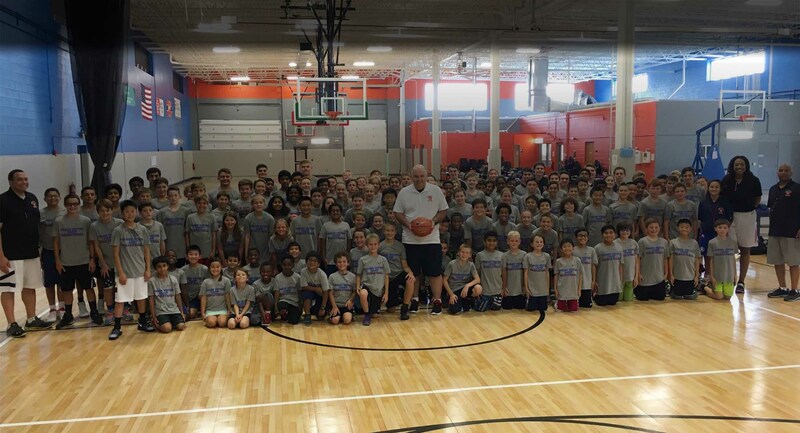 100's of College and Professional Players learned to fundamentals of Basketball and life from Coach Vetter. Former players visit camp every year. Golden State Warriors (Forward), NBA MVP, 4 Time Scoring Champ. Played for Vetter at Montrose Christian. UVA Star and 1st Round Pick of Dallas Mavericks. Played for Vetter at Montrose Christian. Guard currently on top 25 ranked Virginia Tech. Played for Vetter at Montrose Christian. University of Maryland (Guard) 2nd all time scorer, Drafted 1st Round of NBA (Grizzlies). Played for Vetter at Montrose Christian. Forward, 1st Round Pick of Portland Trailblazers (2005). Played for Vetter at Montrose Christian. 10 Year NBA Veteran, Naismith College Player of the Year, NBA TV Analyst. Played for Vetter at Montrose Christian. Pro in Finland. Only freshman to ever lead NCAA Div I in scoring. Played for Vetter at Montrose Christian. 1st Round Pick for Toronto. 2013 NBA Dunk Champ. Played for Vetter at Montrose Christian. ln Vetter's program, kids are prepared for college as well as any other program in the country. They learn responsibility, discipline; and they identify with team goals. And the discipline is not just on the court but off it as well. His kids are not just good players, but gentlemen." 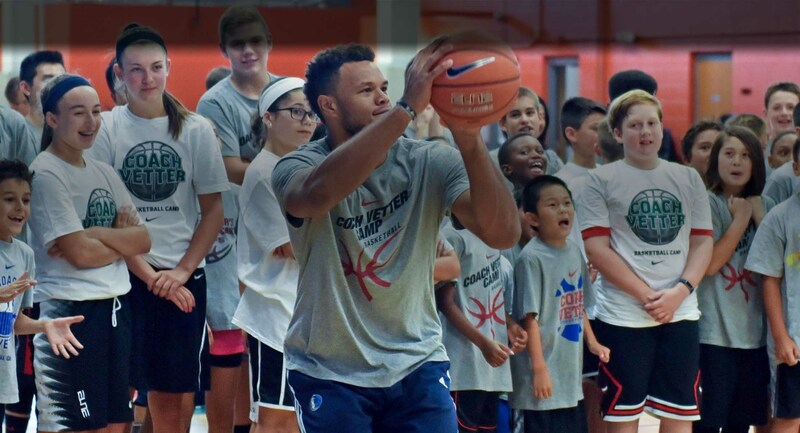 Shooting Contest: Former players such as Justin Anderson, Greivis Vasquez and Kevin Durant often appear at camp as guest speakers or instructors. Here current Virginia Tech star Justin Robinson participates in a shooting contest. You can see our kids have FUN!